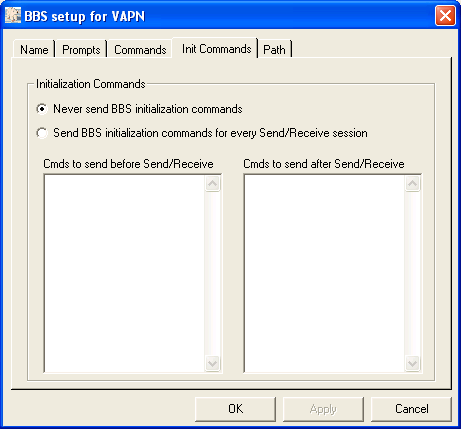 When it comes to packet messages there will always be a place in the hearts of many for reading “BBS mail” at a text prompt. Others will scream “Do you know what century this is?” Fair enough. Outpost PM exists to put a Windows GUI between the user and the text prompt/reply regime. 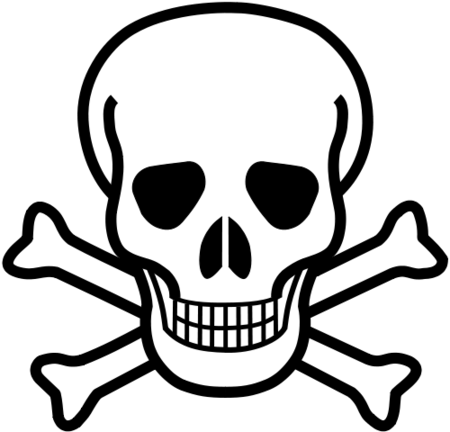 Our goal with VAPN is to provide classic packet interaction fully compatible with programs like Outpost PM. It is our conclusion having access to the same message content either way provides the user options to tailor access to fit their current needs. GUI programs are very nice, but the classic text interface makes the most of the limited bandwidths available on ham frequencies. Viva la choice. It’s no secret the amateur radio world poorly explains things to the next generation of hams. 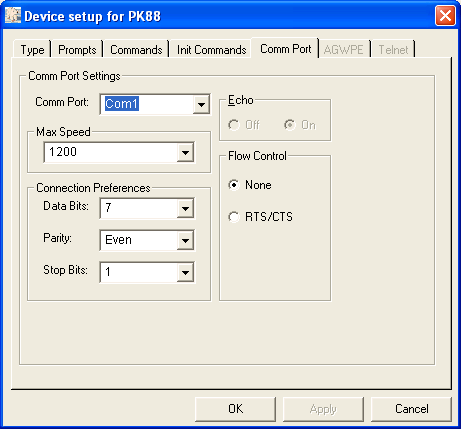 Packet radio is no exception and the setup menus of Outpost are a textbook example of abstraction. Anyone new to packet radio trying to set up Outpost will likely be dumbfounded at the lingo they must learn at each step. All I can suggest is it gets easier with time. 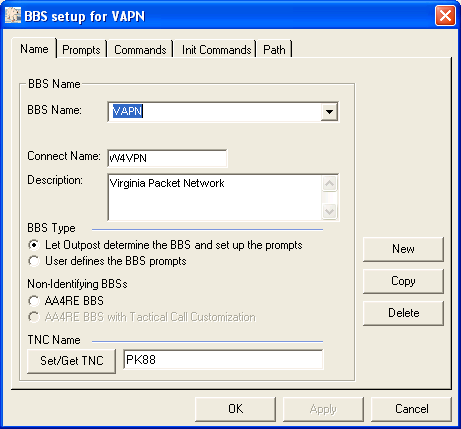 Once we vet some packet connectivity options, VAPN.org will carefully outline configuration steps to help our patrons use the system. For now one example will have to suffice. Going retro doesn’t necessarily mean going insane. 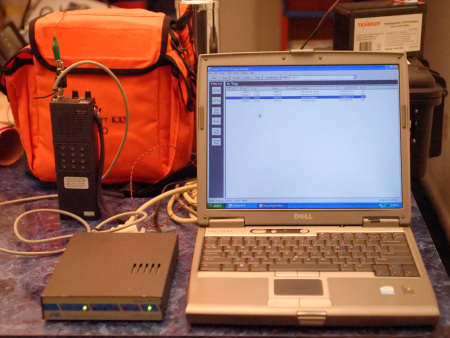 A relatively modern WinXP Dell D610 rounds out the user interface of this elemental packet station. Select TNC Type and describe. I left this as is. 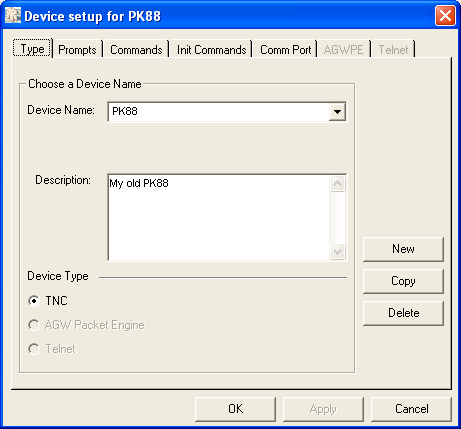 Port details – note the PK88 uses 7E1 (Retro baby). 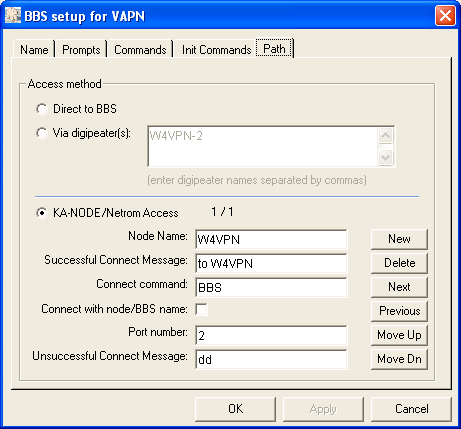 Name the BBS, put W4VPN as Connect Name and Describe it. Select a TNC as well. 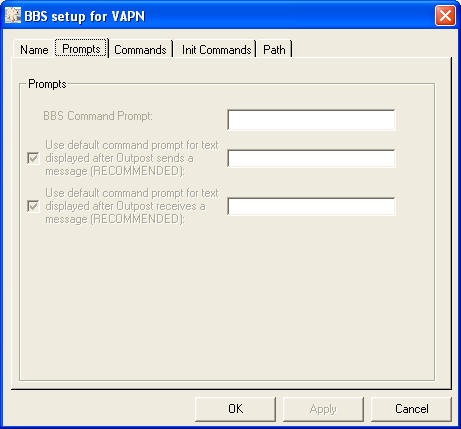 Leave these as is… BBS commands are standard. No need to initialize the BBS. Select KA-NODE, fill as shown. Port # and the next field don’t matter, but it won’t save without a value. With this done I was able to have Outpost negotiate with the BBS on the VAPN prototype server, pull messages off and kill them on the server. As well I generated a test NTS message and it posted it to the BBS. IT WORKS! Outpost PM deletes messages from the server by default, saving them to local storage. 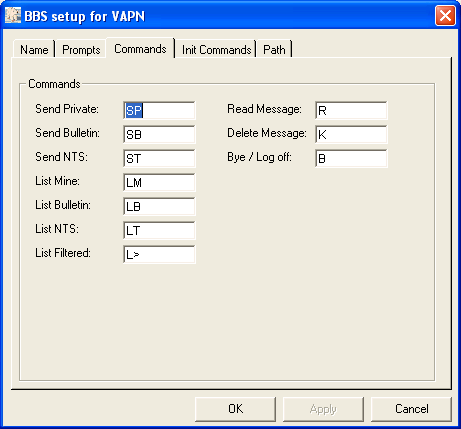 Hence it won’t necessarily play well if you access BBS messages in other ways with the thinking of using the BBS as “server based” message storage/management. This default behavior is the traditional way to handle packet messages so Outpost isn’t doing anything wrong. We just wanted those new to the packet message paradigm to understand what to expect. Though trite, the saying YMMV applies to most everything that interconnects in Amateur Radio. For the first time I was able to get Outpost to talk to a BPQ node/BBS merging Windows ease with Packet system text interface… a solid step forward.